A private cloud delivers control, security and customization–which are non-negotiable criteria for many businesses. But for those undeniable benefits, private cloud environments come at a cost, requiring significant initial and ongoing investment of both capital and human resources, as well as requiring expert technical support for architecting and upkeep. 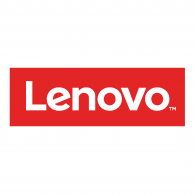 In this study by Principled Technologies, read how the highly automated Lenovo ThinkAgile CP composable cloud solution, powered by the Intel® Xeon® Platinum processor, deliver key private cloud benefits while remaining cost effective, rapid to deploy, and simple to manage.